It’s been a few years since Panic at the Disco lost two of its original members and hiatus was inevitable. Just after completing work on the original bands final single “New Perspective,” which was released free of an album on the Jennifer’s Body Soundtrack, the band split. Left standing were drummer Spencer Smith and lead singer Brandon Urie. With the bands voice left intact, it seemed likely the Panic at the Disco would return to the stage and they did just that on SXSW’s final night. Slotted in an opening slot before indie stars The Bravery, it was clear that almost the entire crowd was there for Panic. Opening with a song from the past, “The Only Difference Between Martydom and Suicide is Press Coverage,” they went onto play a number of songs from their album Vices & Virtues which comes out today. The album is the split between their last two releases. A slightly more electric feel than 2008′s Pretty Odd is paired with the songwriting maturity that lacked in their debut A Fever You Can’t Sweat Out. From what you could tell onstage at Stubbs in Austin, TX, the band is having a ball in their current configuration. 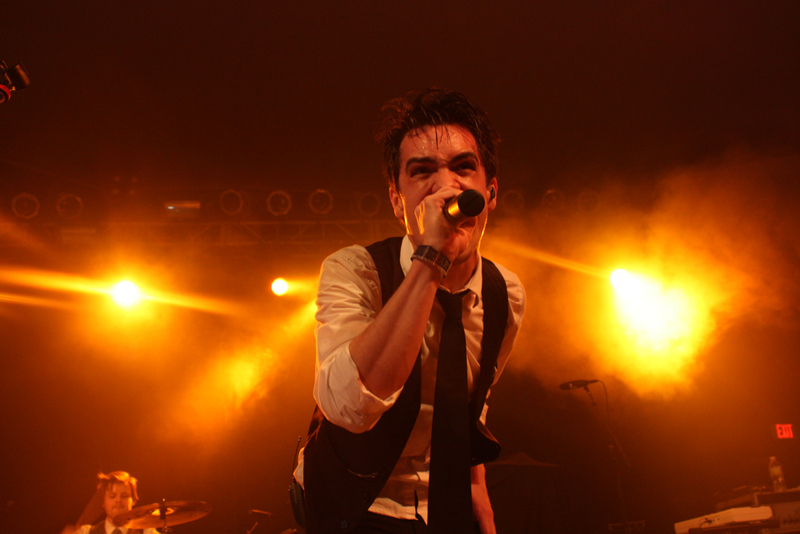 Urie seemed extremely upbeat as he soaked in a huge crowd and mixed former hits such as “We Write Sins Not Tragedies” with songs that they were playing for the very first time in a live setting like “Ready To Go.” The first single from the new album is “The Ballad of Mona Lisa” which hit the internet weeks ago, and is a perfect reintroduction to Panic at the Disco. As much of the crowd discovered that night, it’s incredibly catchy and sticks with you. The new album is packed with such songs. While it could do without songs like “Let’s Kill Tonight,” others such as “Hurricane” and “Memories” will be instant hits with the bands following. It will be very interesting to see if this album does to Panic at the Disco what albums like Infinity On High did for Fall Out Boy. While Panic has enjoyed marginal success as a band, they’ve never had the commercial success of Fall Out Boy who enjoyed a few runs at the arena level. To this point, Panic at the Disco is still playing larger clubs in major cities, missing the huge singles that have put other bands far ahead of them. If the crowds reaction at SXSW told me anything, it’s that this album has the potential to be huge. Young fans and older executives all seemed equally interested in the band. Some probably thought, ‘where have they been?’ while others welcomed them back as if they’d never left. 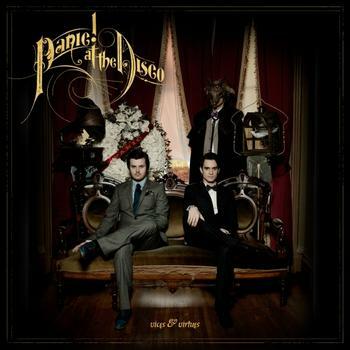 Vices & Virtues hasn’t lost any of the flair from the first two Panic at the Disco albums in spite of losing two original members. A theory remains. For bands with dominate lead singers, it all boils down to them. Brando Urie remains the frontman for Panic at the Disco and with that, they will remain a band living right on the edge of superstardom.